Welcome to the Pathway Acupuncture Clinic with Yvonne Cook, Lic Ac. MBAcC., a fully qualified and experienced traditional acupuncturist practising in Kings Heath and Edgbaston, Birmingham. Treatment can help you with an infinite variety of health issues whether of a physical or emotional nature; for a specific health problem or symptom, fertility issues, to reduce stress and anxiety levels, or simply to improve general health and wellbeing. One of the particular strengths of acupuncture is that it can help with health issues that have no definite or conventional medical diagnosis; an indication of acupuncture's ability to see the person beneath the presenting complaint. As treatment is aimed at the root cause of the condition, rather than treating symptoms in isolation, it can be effective for a whole range of acute and chronic problems. In Chinese medicine, health is considered from an individual perspective. Acupuncture's strength lies in its ability to understand the 'human condition', particularly how emotional states can affect health; clearly this is different from one person to the next. For example, the effect of stress on health is now well recognised, however, stress comes in different forms and has differing effects. This is why a traditional acupuncturist will be interested in all aspects of your life and the role they may be playing in your health and wellbeing. It is therefore an excellent treatment to support you through life's events and changes, whether they affect the body, mind or emotions. Some people consider acupuncture treatment an important and regular part of their lives and receive treatment on a regular basis as a preventative measure. A 30 minute, free, no obligatory initial consultation is available at the Edgbaston clinic location, (15 minutes at the Kings Heath location). This is an excellent opportunity to find out more about acupuncture and how it may help you. Alternatively please feel free to give Yvonne a call, or email Yvonne, to find out how acupuncture may be of benefit to you. "I look forward to talking with you". 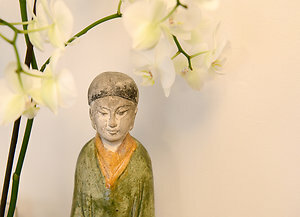 Acupuncture in Edgbaston - she was invited to join the long established practice, City Spring acupuncture clinic as an independent practitioner by Jon Price, its founder and director. The clinic is conveniently close to the city centre and Five Ways with excellent transport links and plenty of free and available car parking. Acupuncture in Kings Heath - she practises from The Well Natural Health Centre; one of the longest established natural health centres in the Midlands. "I have had acupuncture sessions with Yvonne over the past two years. 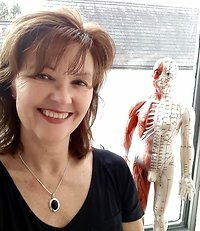 Her treatments successfully address challenging physical symptoms I experience related to the menopause and overall I feel much more 'myself' again. I have been fortunate to receive treatment from a number of acupuncturists over the years while living in different places due to my work. Yvonne stands out as an exceptionally good acupuncturist, giving her full attention through the session to achieving the best outcome for you.